Tank Rum is a delicious new premium white rum inspired by my love of ocean adventure, and I'm excited to share it with you! We're in the final stages of design and development. All that's left is to raise the funds we need to start production. To reach our goal, we need to raise $60,000 or more. Are you in? Tank Rum wouldn't be possible without the support of our partners, and we're thrilled to have them on board! A cash donation is the most beneficial reward for us (See #1A in the right column), and 100% of it will all go towards production. But, if you see a reward that you love, that will help us to our goal as well. Scroll down to the bottom of this column, to the "REWARD DETAILS" section, to see the full description and photos of each reward. Please note: Fundable is set up so you can only back a company once per email address. Previously purchased rewards will be deleted if you try to buy a second one. If you’d like to buy more than one reward listed below, you will need to create another account using a different email address. I've loved the water my whole life. I was a competitive swimmer growing up, and I was drawn to every sport in or around the water. I've loved scuba diving from the moment I jumped in for my first pool dive. The best part about scuba diving is that every time you go, it's a different experience. Every trip is full of excitement and adventure, and when the day’s done, there’s nothing better than sharing stories with dive buddies over a cocktail. Rum is the spirit of the tropics and makes the best tropical drinks, but none of the rum I found had a modern taste and style that meant something to me. I had the idea for Tank Rum on a great day of diving with friends. I wanted to share that feeling of adventure and camaraderie by creating a great rum for people like us. With your support, we can bring Tank Rum to the world. We're in the final stages of design and development, and we're ready for production. All that's left is to raise the funds we need to start production so we can share Tank Rum with you. Most of the funds raised from our Fundable Campaign will go towards purchasing the raw ingredients to make the rum, as well as producing the glass bottles and our unique chrome cap. A smaller portion of the funds will go towards Fundable's fees, credit card processing, the rewards and fulfillment costs. We’ve had help from some industry experts, and leading rum consultants Luis and Margaret Ayala helped perfect Tank Rum’s formula and quality. The aroma is refreshing, with hints of freshly-squeezed cane juice. It opens up smoothly and cleanly, like a well-crafted rum should. The finish is well balanced, with notes of natural sweetness on the finish. Our Premium Rum liquor (80-Proof alcohol) is being produced at one of Mexico’s best distilleries of spirits, just a few hours drive from the Yucatan Peninsula's beautiful Caribbean dive sites. It is refined enough that it can be sipped on the rocks, but also flavorful enough that it can be used as a versatile mixer in all traditional rum cocktails and beyond. One of the most fun parts of this project has been designing the bottle. It's a chance for us to show you what Tank Rum is all about. It's designed for adventurers, with a bold and modern aesthetic that stands out on any shelf or bar. It's made from the highest quality glass available, and we hope you'll love showing it off as much as we do. Drink Tank's first product, the TankH2O, is a stainless-steel bottle we launched in Feburary 2013. It's now being sold in thousands of dive shops, resorts, and aquariums around the world. 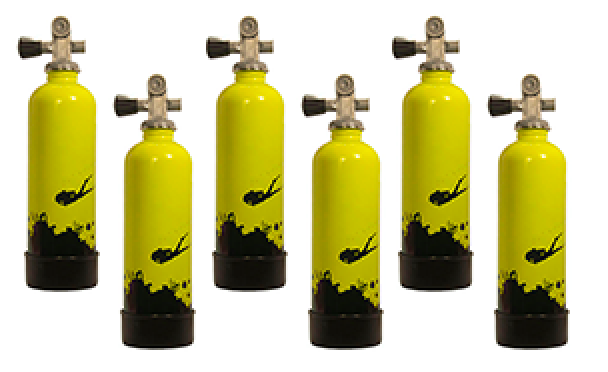 It was named "Dive Industry Product of the year" and we're currently shipping TankH2O's from warehouses in Los Angeles, Hong Kong and Sydney to customers worldwide. If you want to receive TankH2O’s prior to the end of our campaign, please order directly from our www.TankH2O.com website. This also supports our campaign! Brooke Bishop - CEO, Drink Tank Ltd.
Hi, my name is Brooke. I studied Product Design at Stanford University and founded Drink Tank Ltd. in 2012. We've spent the last 2 years launching Drink Tank's first product, the TankH2O stainless steel water bottle. My goal for 2015 is to bring Tank Rum to market. I've put everything I have into making this project a reality and I thank you for your support in helping me get there. I hope you'll join the ride and help get Tank Rum into the marketplace. This is the reward that will benefit us the most!! 100% of the donation will go towards production (the money will not be spent on the reward, shipping, etc.) The more you pledge, the more you help Tank Rum succeed. We will send you a personalized "Tank You" email for your support. You'll also receive exclusive backer-only updates on the development process. As soon as Tank Rum is available, you can redeem your certificate for 1 bottle of Tank Rum. You will be one of the first to have it! - We will provide the specific Tank Rum pick-up information when it is available. - Shipping costs (if required) and taxes are not included (please note: there are alcohol restrictions in many countries/states/provinces). Shipping will be from the USA. A Tank Rum Decal Sticker and a "Tank You" email. The vinyl stickers are durable and weather resistant. You'll also receive exclusive backer-only updates on the development process. Shipping Costs are included, world-wide and the stickers will be available at the conclusion of the campaign. This is a one-time DEAL! You can’t buy single TankH2O’s anywhere for this price! - Dive Industry Product of the Year! Shipping costs are not included and will be calculated at the conclusion of the campaign. Each bottle will ship from Los Angeles, Hong Kong, or Sydney depending on your location and will be available at the conclusion of the campaign. This is your chance to own one of the first Tank Rum bottles ever made! Unfortunately, it will ship empty (we can't ship alcohol in this campaign). The bottle makes a great decoration, suitable for display in your home or office! Shipping costs are not included and will be calculated at the conclusion of the campaign. The bottle will ship from Mexico and will be available after the Tank Rum Product Launch. 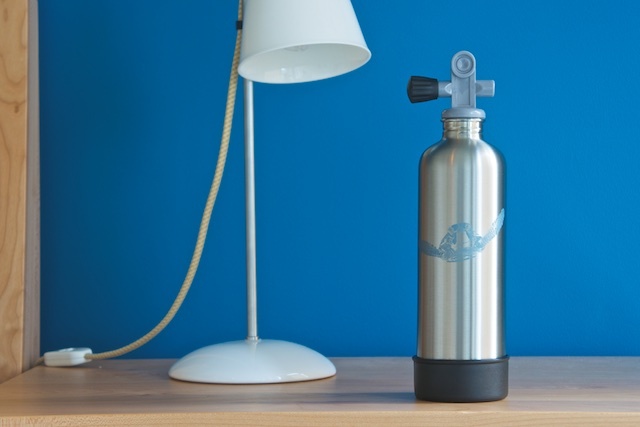 We've designed 40 Limited Edition brushed stainless steel TankH2O's painted with a light blue turtle. Want a very unique TankH2O? This is for you! Shipping costs are not included and will be calculated at the conclusion of the campaign. The bottle will ship from San Francisco, USA and will be available at the conclusion of the campaign. Extreme sports require extreme readiness. SanDisk Extreme microSDXC UHS-I cards deliver the speed, capacity, durability, and quality you need to make sure your adventure is captured in stunning detail, even if you blink on the way down. Now rated UHS Speed Class 3 (U3), this fast, high-performing card teams up with your action camera to let you capture and share unforgettable extreme sports video. - Up to 64GB capacity for more space to catch the thrill. Shipping costs are not included and will be calculated at the conclusion of the campaign. 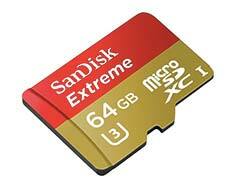 The SD cards will ship from San Francisco, USA and will be available at the conclusion of the campaign. Featured on the cover of Outside Magazine! Tap into vintage Australian style with the Sunski Madronas. Tortoise shell print and an excellent rubberized texture make these a real winner. For the beach, ocean, mountains and everywhere the sun’s out Sunskis have you covered. Shipping costs are not included and will be calculated at the conclusion of the campaign. The sunglasses will ship from San Francisco, USA and will be available at the conclusion of the campaign. 100% Waterproof Roll-top Dry Backpack that is great for Boat Trips or anywhere else you need to keep your Gear Dry and your Belongings Safe. Shipping costs are not included and will be calculated at the conclusion of the campaign. 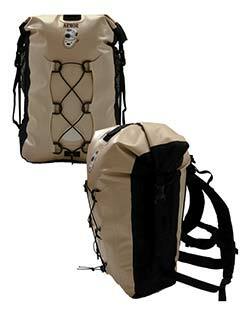 The backpack will ship from Tampa, FL, USA and will be available at the conclusion of the campaign. Shipping costs are not included and will be calculated at the conclusion of the campaign. The collection will ship from Singapore and will be available at the conclusion of the campaign. A 1-day pass (no black-out dates!) to ski/snowboard at Sun Valley Ski resort in Idaho, USA during 2014-15 or 2015-16 ski seasons. This reward is for those who seek adventure in the snow as well! With more than 3,400 vertical feet and over 2,000 acres of varied terrain, Sun Valley offers skiers and boarders something special on not just one mountain, but two. Shipping Costs of tickets are included world-wide, and will be available at the conclusion of the campaign. This is a one-time DEAL! You can’t buy 6 TankH2O’s anywhere for this price! Shipping costs are not included and will be calculated at the conclusion of the campaign. The bottles will ship from Los Angeles, Hong Kong, or Sydney depending on your location and will be available at the conclusion of the campaign. 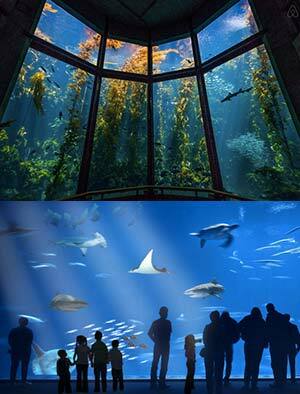 4 adult tickets to the world-famous Monterey Bay Aquarium! The exhibits take you into the underwater world of Monterey Bay and other locations around the world. The main feature is the Outer Bay Waters exhibit, the one-million-gallon tank containing tuna, sharks, ocean sunfish and sea turtles. The aquarium is home to almost 300,000 individual plants and animals, and approximately 550 different species. With nearly 200 exhibits in all, the Aquarium is a window to the wonders of the ocean. The tickets will be available at the conclusion of the campaign. 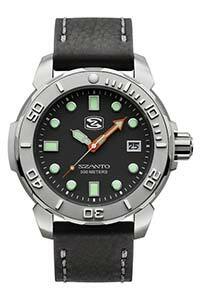 New addition to Szanto’s dive collection!! Shipping costs are not included and will be calculated at the conclusion of the campaign. The watch will ship from San Francisco, USA and will be available at the conclusion of the campaign. This is a one-time DEAL! You can’t buy TankH2O’s anywhere for this price! This box has 30 yellow TankH2O stainless steel water bottles. Shipping costs are not included and will be calculated at the conclusion of the campaign. Each box will ship from Los Angeles, Hong Kong, or Sydney depending on your location and will be available at the conclusion of the campaign. This is a one time opportunity! Winery tastings are not scheduled for the general public and the wine is not available for retail purchase! You will enjoy a wine tasting at the beautiful Steinke Beyer winery, sitting atop a hill at 1,000 ft with sweeping views of Los Altos Hills and the Silicon Valley. 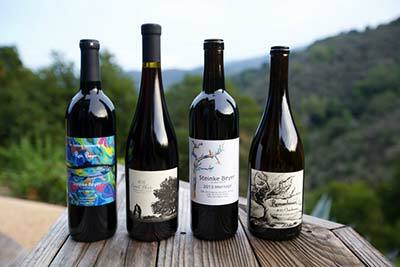 Steinke Beyer only produces small lot wines to maintain the highest quality of flavor in each bottle. All wines are hand-crafted and bottled by head wine maker, Roman Beyer. You will also take home a mixed case (Qty=12) of Steinke Beyer wine. - Will be available at the conclusion of the campaign. This is your chance to own the most advanced GoPro ever! Featuring improved image quality and a 2x more powerful processor with 2x faster video frame rates, HERO4 Black takes GoPro performance to a whole new level. Incredible high-resolution 4K30 and high frame rate 1080p120 video enable stunning, immersive footage of you and your underwater world. (Memory card required and sold separately, see Reward #6). - Shipping charges are not included and will be calculated at the end of the campaign. 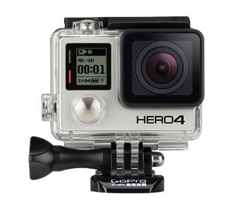 - The GoPro HERO4 Black will ship from San Francisco, USA. This is a one-time opportunity! Winery tours are not scheduled for the general public and the wine is not available for retail purchase! You and 9 friends will enjoy a VIP tour and tasting at the beautiful Steinke Beyer winery, sitting atop a hill at 1,000 ft with sweeping views of Los Altos Hills and the Silicon Valley. In a privately guided tour by owner and wine maker, Roman Beyer, you will gain behind-the-scene knowledge of the wine making process, including barrel tasting(s) of currently aging wines. Following your tour, you will be treated to an in-depth tasting of Steinke Beyer wines paired with artisan bread, also made by Roman Beyer, and favorite cheeses and fruit. You will also take home a mixed case (Qty=12) of Steinke Beyer wines. This is a one-time DEAL! You can’t buy TankH2O’s anywhere for this price! 3 boxes, each filled with 30 yellow TankH2O stainless steel water bottles. Shipping costs are not included and will be calculated at the conclusion of the campaign. The boxes will ship from Los Angeles, Hong Kong, or Sydney depending on your location and will be available at the conclusion of the campaign. A private Tank Rum tasting party at your house/office/location by Tank Rum founder, Brooke Bishop. Cocktail supplies will be provided, along with Tank Rum. - Transportation costs not included. Are you entrepreneurial? Would you like to help our new product, Tank Rum, grow in the marketplace? 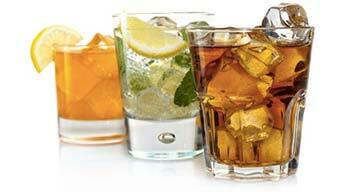 Do you have insight into Rum Distribution? Are you linked to scuba dive industry in a unique way to help introduce Tank Rum to the Resorts, Duty Free Shops, Restaurants, Bars, Cruise Ships or Live-Aboards? Are you geographically located in a great region of the world to help us bring Tank Rum to the market there? Do you like living on the forefront of development? Then become a Tank Rum Advisor! You'll play a key role in the expansion of Tank Rum, and your input will shape its future and availability for everyone. You'll get early access to Tank Rum, and be in direct communications with our Drink Tank team. You will participate in the behind-the-scenes ideas we have for future products and expansion. Plus, you will create great connections with the other Tank Rum Advisors, worldwide. Your personal travel expenses to remote scuba dive locations are not reimbursable by Drink Tank, but you may get preferred tax treatment for such Tank Rum research (seek advice from your own tax consultant). You will not be an employee or receive compensation for your time, but you will be able to refer to yourself as a “Tank Rum Advisor for Drink Tank Ltd, SRL” on your own business cards, LinkedIn, email salutations, etc. Drink Tank reserves the right to not accept certain individuals (e.g. employees of competing brands, friends, people with conflicts of interest, etc.) and a Non-Disclosure Agreement (NDA) that outlines confidential material, knowledge, or information will need to be signed by each person accepted as a Tank Rum Advisor. The role of Tank Rum Advisor will begin at conclusion of the campaign. The Hotel Cozumel & Resort is located one mile from Cozumel’s center square, near the shopping district, local restaurants and bars. The four-star “Hotel Coz” caters to families, honeymooners and water sports enthusiasts looking for a low-key vacation. Its 181 newly remodeled guest rooms and suites boast a contemporary design and feature free Wi-Fi and private balconies. - Accommodation will be in a Standard Room with Pool View. - The All Inclusive Plan includes breakfast, lunch, snacks, and dinner (all buffet style), alcoholic and/or non-alcoholic domestic beverages, various scheduled activities during the day in/by the pool, ping-pong tables, pool table, darts, gym, bike tour, snorkeling tour (gear included), kayaks, handcraft lessons, Spanish lessons, Kid’s Club, and night entertainment/activity. - Is subject to availability in high season. Not transferable. No cash value. To be redeemed, original certificate must be shown upon check-in. This segment or interview on ScubaRadio can be used to spotlight a dive-related product or destination. Or, if you prefer, you can use the opportunity to join ScubaRadio on-air as a special guest correspondent (a unique opportunity to be a radio show star for a day!). Approximately 35 news/sports talk radio stations air ScubaRadio throughout the US. This translates to an estimated reach of 500,000 radio listeners per week. You can also subscribe to the ScubaRadio Podcast and never miss a show! Will be available at the conclusion of the campaign. This is valid for 2 round-trip economy-class flights to Nadi, Fiji from Los Angeles, USA on Fiji Airways. - The winner will be responsible for all government taxes and surcharges (~$172 USD/person). 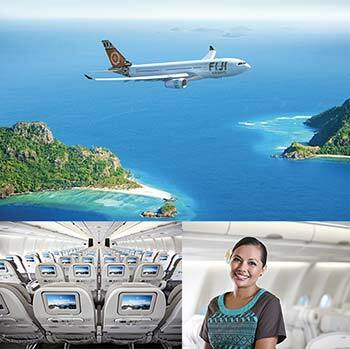 - Valid on Fiji Airways operated flights only. - Travel must be completed by 30th November, 2015. - Tickets are non-transferrable, and cannot be cashed nor be redeemed in any other format. - Tickets are non-endorsable, non-reroutable and non-refundable. - Frequent flier mileage accrual is not applicable. - The period of travel is subject to embargo periods (black-out travel dates). Fiji Airways office will advise you at the time of booking and will provide the closest alternative dates available for travel. - Request of travel must be made at least 15 working days prior to travel dates. - Visa applications and costs plus other cost and services (hotel, etc.) are the responsibility of the winner. - In the event of flight disruption, there will be no compensation. - All reservations and ticketing arrangements must be made directly with Fiji Airways in Los Angeles. - Round-trip tickets from Nadi to Taveuni (or other islands within Fiji) are not included. Shipping cost of tickets by an insured carrier is not included. The tickets will be available at the conclusion of the campaign. COMPARE TO: This Resort is not open to the general public! The Ultimate Dive Trip: a 5-night stay for 2 people in a beautiful new bure on a private beach in Fiji. This includes all food (prepared by your own private Fijian chef) and local alcoholic and non-alcoholic drinks. The bure was completed in 2011 and is not rented out, so this is a once-in-a-lifetime trip. You will be interacting with local Fijians, snorkeling and scuba diving on the world-famous Rainbow Reef (the best dive sites in the world are within 10 minutes by boat! ), and have the beach all to yourself (your private Fijian Staff will guarantee you privacy). Includes: Kayaks, Stand Up Paddle-boards, Volleyball, Hammocks, Lounge Chairs, Music, etc. This does not include airfare, but does include local transportation (car + boat) from Taveuni airport. Diving and any excursions are not included, but we can help you plan them. Based on Availability. Must be redeemed by Dec 2015. We will send you a personalized "Tank You" email for your support, and you’ll receive exclusive backer-only updates on the development process. We will provide the specific Tank Rum pick-up information when it is available. Shipping costs (if required) and taxes are not included (please note: there are alcohol restrictions in many countries/states/provinces). See “REWARD DETAILS” section for complete details. A Tank Rum Decal Sticker and a "Tank You" email. The vinyl stickers are durable and weather resistant. Shipping Costs are included, world-wide. See "REWARD DETAILS" section for complete details. This is a one-time DEAL! You can’t buy TankH2O’s anywhere for this price! Shipping costs are not included and will be calculated at the conclusion of the campaign. Each bottle will ship from Los Angeles, Hong Kong, or Sydney depending on your location. This is your chance to own one of the first Tank Rum bottles ever made! Shipping costs are not included and will be calculated at the conclusion of the campaign. The bottle will ship from Mexico. 40 Limited Edition brushed stainless steel TankH2O's painted with a light blue turtle. Shipping costs are not included and will be calculated at the conclusion of the campaign. The bottle will ship from San Francisco, USA. Do you need a new SD card for your camera? This is a great deal! Shipping costs are not included and will be calculated at the end of the campaign. The SD Cards will ship from San Francisco. Featured on the cover of Outside Magazine! 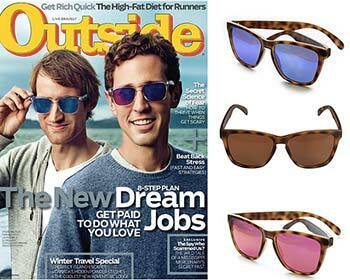 Polarized Lenses are available in Brown, Blue or Pink. Shipping costs are not included and will be calculated at the conclusion of the campaign. The sunglasses will ship from San Francisco, USA. 100% Waterproof Roll-top Dry Backpack that is great for Boat Trips or anywhere else you need to keep your Gear Dry and your Belongings Safe. Shipping costs are not included and will be calculated at the conclusion of the campaign. The backpack will ship from Tampa FL, USA. 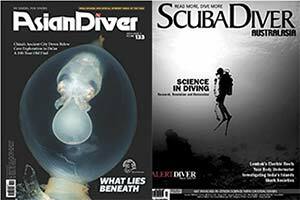 The 2014 Limited Edition Year Set contains all 8 issues of Scuba Diver and all 6 issues of Asian Diver. Shipping costs are not included and will be calculated at the conclusion of the campaign. The collection will ship from Singapore. A 1-day pass (no black-out dates!) 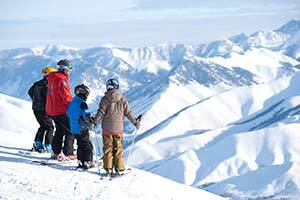 to ski/snowboard at Sun Valley Ski resort in Idaho, USA during 2014-15 or 2015-16 ski seasons. Shipping Costs are included, world-wide. This is a one-time DEAL! You can’t buy TankH2O’s anywhere for this price! Shipping costs are not included and will be calculated at the conclusion of the campaign. The bottles will ship from Los Angeles, Hong Kong, or Sydney depending on your location. New addition to Szanto’s dive collection!! Shipping costs are not included and will be calculated at the conclusion of the campaign. The watch will ship from San Francisco, USA. This is a one-time DEAL! You can’t buy TankH2O’s anywhere for this price! This box has 30 yellow TankH2O stainless steel water bottles. Shipping costs are not included and will be calculated at the conclusion of the campaign. Each box will ship from Los Angeles, Hong Kong, or Sydney depending on your location. This is a one-time opportunity! Winery tours are not scheduled for the general public and the wine is not available for retail purchase! You will enjoy a tasting at the beautiful Steinke Beyer Winery. You will also take home a mixed case (Qty=12) of Steinke Beyer wines. Local pickup only, cannot be shipped. GoPro HERO4 Black with Underwater Scuba Dive Case. Shipping charges are not included and will be calculated at the end of the campaign. The GoPro HERO4 Black will ship from San Francisco, USA. This reward is good at Taveuni Dive Resort for 12 tank dives, and must be redeemed in 2015. This is a one-time opportunity! Winery tours are not scheduled for the general public and the wine is not available for retail purchase! You and 9 friends will enjoy a VIP tour and tasting at the beautiful Steinke Beyer Winery. You will also take home a mixed case (Qty=12) of Steinke Beyer wines. Local pickup only, cannot be shipped. This is a one-time DEAL! You can’t buy TankH2O’s anywhere for this price! 3 boxes, each filled with 30 yellow TankH2O stainless steel water bottles. Shipping costs are not included and will be calculated at the conclusion of the campaign. The boxes will ship from Los Angeles, Hong Kong, or Sydney depending on your location. A private Tank Rum tasting party at your house/office/location by Tank Rum founder, Brooke Bishop. Cocktail supplies will be provided, along with Tank Rum. Transportation costs not included. Are you entrepreneurial and interested in helping our new product, Tank Rum, grow in the marketplace? Then become a Tank Rum Advisor! Must be redeemed by December 23, 2015. This segment or interview on ScubaRadio can be used to spotlight a dive-related product or destination or to join ScubaRadio on-air as a special guest correspondent. This is valid for 2 round-trip economy-class flights to Nadi, Fiji from Los Angeles, USA on Fiji Airways. The winner will be responsible for all government taxes and surcharges (~$172 USD/person) and travel must be completed by 30th November, 2015. The period of travel is subject to embargo periods (black-out travel dates). Shipping cost of tickets (by insured carrier) are not included. The Ultimate Dive Trip: a 5-night stay for 2 people in a beautiful new bure on a private beach in Fiji. This does not include airfare, but does include local transportation (car + boat) from Taveuni airport. Diving and any excursions are not included, but we can help you plan them. Based on Availability. Must be redeemed by Dec 2015.